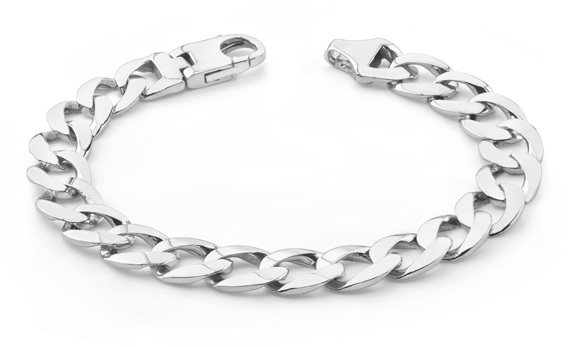 Quality, hand-made men's 14k solid white gold curb link bracelet. This curb link bracelet is hand-crafted for the finest quality and finish. 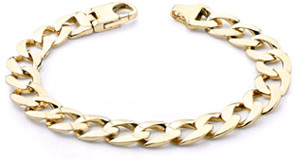 Each link is individually made, polished, and assembled. 8 inches in length (standard). Also available in larger or smaller widths or as a chain necklace (inquire). 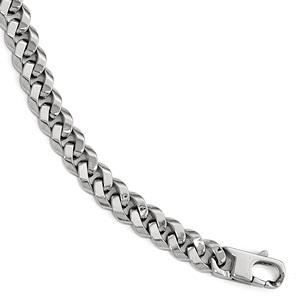 We guarantee our Men's 14K White Gold Curb Link Bracelet to be high quality, authentic jewelry, as described above.